Boba Classic is a Soft Structured baby carrier that can be worn on the front or back with kids weighing 15 to 45 lbs. The Boba is the only child carrier with foot straps attached to the waist belt for the child’s feet to sit in – enabling a healthy sitting position for the child. 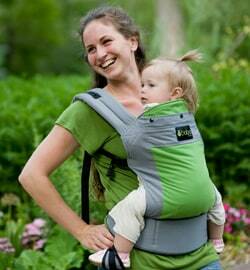 The foot straps not only give little tired legs a rest and aid in proper circulation, but also support the legs in a flexed abducted (froglike) position which naturally tilts the pelvis, fills out the hip sockets, and aligns the spine – making it one of the healthiest baby carriers available!